Yes… I am still awake at this very hour. What am I doing now? Here I am sitting in my living room with the television playing Ghana VS Uruguay World Cup 2010 2nd Quater Final. Actually, I am not paying attention of the football match but I am very anxious waiting for the latest iPhone software update, iOS 4 to complete. I casually checked about the iOS 4 update and it’s here already since 27th June. I cannot download directly as I was using the internet connection of my handphone. I was at my girlfriend house. There’s no internet connection there. So, Brazil lost (sad…) and I quickly went home and started to download the iOS 4 and twice the download was stopped because of my weak WIMAX connection. Damn frustated. The last download was around 50% already and now I have to start all over again! That’s why I am sitting here now, waiting for the download to finish! 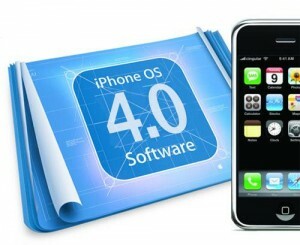 Wait for my review about the iOS 4. I am so excited! Please let me know what you think about iOS 4 after you have upgraded it. TQ. P/S: Actually, the iPhone is my girlfriend’s and it’s a special gift from me! She’s not so excited about updates. She’s more concerned about her sleep! Previous story The iOS 4 is ready and rocking!